NOTE: Days and times: Saturdays, 10:30-Noon, starting September 8, 2018. 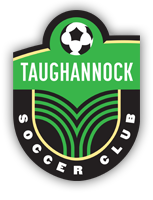 The TSC sponsors a popular fall recreational soccer program for children 4 to 12 years old. The program is held on the soccer fields behind the Trumansburg Middle School on Saturday mornings, 10:30-noon, during September and October. This is an informal program designed to introduce soccer to new or non-competitive players, teach basic soccer skills at age-appropriate levels, and to have fun. There are no established teams; each week players in a given age group are randomly divided into groups to play a few soccer activities and then participate in 2 to 3 concurrent small-sided games. Games are “short-sided” with 4 to 6 players per team, which maximizes the involvement of every player on the field and the number of touches any one player has on the ball. Teams rotate after about 20 minutes of play so that up to 3 games can be played against different groups of players. Coaching is conducted by parent/volunteers, who receive instruction on training exercises and coaching that are appropriate for a given age group. The emphasis of this program is on fun. “Success” is based on a player’s desire to return year after year. In general, a session of the Fall Recreational Soccer program will be held — rain or shine — and canceled only for lightning or heavy rain. Most of the time, cancellation will be just prior to (or during) a session, and there will NOT be an opportunity to contact people ahead of time. Because the program is mainly for fun and some children (and parents) will enjoy it only under sunny conditions, in reality, most parents will make a decision on their own, as is appropriate, to cancel the session for their own child based on weather conditions. This is the most workable process we have — given the large number of kids involved in the program and the wide range of tolerances for wet or cold weather.